"Go therefore and make disciples of all nations, baptizing them in the name of the Father, and of the Son, and of the Holy Spirit, teaching them to observe all that I have commanded of you"
This quotation is found in the magnificent stained glass windows above the altar in our church. It is a reminder of the responsibility each baptized Catholic has to share the faith with others, beginning with their children. Baptism is the first sacrament celebrated in the process of becoming a full member of the Church community. 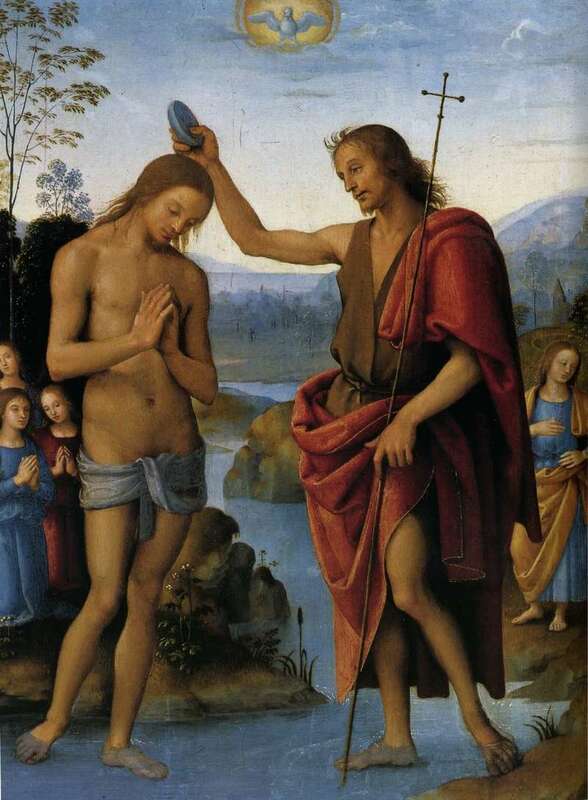 It is the first of the three Sacraments of Initiation: Baptism, Confirmation, and Eucharist. Baptism is, like all the sacraments, a gift from God. Water is the universal symbol. Water is absolutely essential for all life. Water cleanses and restores. It is the waters of Baptism which give us new life. In accordance, through Baptism we die to ourselves in order to be restored and resurrected in the new life of Christ. Thus, baptism is the gateway to life in the Spirit, and the door which gives access to the other sacraments. Through Baptism we are freed from sin and reborn as children of God; we become members of Christ, are incorporated in to the Church, and made sharers in her mission. (Catechism of the Catholic Church, #1213). "The fruit of Baptism, or baptismal grace, is a rich reality that includes forgiveness of original sin and all personal sins, birth into the new life by which man becomes an adoptive son of the Father, a member of Christ and a temple of the Holy Spirit. By this very fact the person baptized is incorporated into the Church, the Body of Christ, and made a sharer in the priesthood of Christ" (Catechism of the Catholic Church, #1279). You should have your child baptized in your own local parish. If you are not registered at your parish, you are encouraged to do so. If you do not live within our parish boundaries, but find St. Dominic's to be your spiritual home please register online or visit our parish office and register as a committed member of the parish. Then please contact the office for an appointment to schedule your child's baptism and to sign-up for a baptismal class before the actual baptism. These children are normally baptized on the first Saturday of the month at 10 a.m., 11 a.m., or 12 noon (español). According to the Code of Canon law, the child must request baptism (unless they have developmental disabilities). Children attending Catholic school are asked to attend religious education classes on baptism, reconciliation and first communion. Baptism would be at the Easter Vigil. Children in public schools must attend two years of Religious Education at St. Dominic’s. The first year will be general evangelization, and the second year catechetical instruction and preparation for the sacraments of baptism and first eucharist. The fee for this program is the same as the Religious Education program year II. Because conversion and repentance for sin is necessary in order to fruitfully receive baptism, a meeting with the pastor is required for children eight years old and older before approval is given for baptism. Please see the Rite of Christian Initiation of Adults (RCIA) process. Parents must be active, registered parishioners at St. Dominic's Catholic Church or live within the parish boundaries. Parents and godparents are required to attend one Baptism Preparation, offered every first Tuesday of the month at 7:30 p.m. 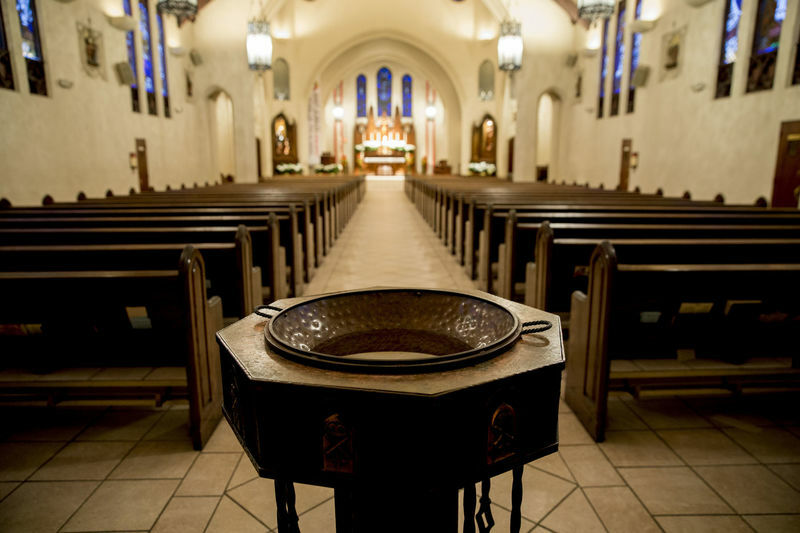 If the godparent is out of town, the class may be taken at another parish which offers a baptism preparation class. A certificate or letter indicating completion of the class must be turned in to the office prior to the baptism. Return the questionnaire - printing clearly in black ink - to the parish office or send by e-mail or by fax (323) 255-3067. One of the priests will call you for an appointment. o por fax al (323) 255-3067. Uno de los sacerdotes le llamará para una cita. June 6, 2017, 7:30 p.m.